B0467. (MASSENET) James Harding. 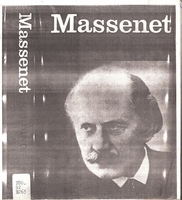 Massenet. New York, St. Martin’s Press, 1970. 229pp. Index; Bibliography; Catalogue of Works; Illus. “Harding's 1972 study, THE OX ON THE ROOF, of the French musical activities in the 1920s of the composers, including Poulenc and Milhaud, who comprised Les Six is one of his most acute.